Capt. Shane Watson's Autobiography now Available in Hardback. 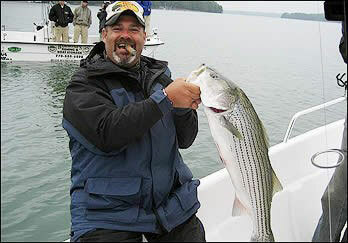 Hall of Fame Fishing Guide Captain Shane Watson knows where the fish are on Lake Lanier and he knows how to catch them. His amazing success today is inspirational. That success is even more inspirational when you read Shane Watson’s autobiography, Homeless to Hall of Fame, now available in hardback wherever books are sold. Shane’s story of endurance — starting with nothing, trusting in God and building a life worth being proud of — is more than how much one man can accomplish. The deeper story is how much God can accomplish through one man. Homeless to Hall of Fame could change the life of someone you know. You can give a signed copy to a fishing buddy or a family member by calling Pam Watson at 770-235-9829. We hope you’ll share Shane’s life story with your friends. Also available at Barnes & Noble, Amazon and on eBay. Hall of Fame Fishing Guide Shane Watson Signs Book Deal with Major Publisher. For Immediate Release 12-2-13. Capt. Shane Watson has announced that he has finished his autobiography and signed with a book publisher. Shane's book "Homeless to Hall of Fame" will be available in hardback at most major retailers and Christian stores across the nation. Amazon will also have it for purchase and E-read. "This is an exciting time," says Watson. My literary agent and publisher are putting together a book signing tour and media promotions across the country. Look for Shane's book to be in stores and online by mid January 2014. For Immediate Release 9-15-13. Shane Watson has announced that SWGS will now be offering guide trips on Lake Allatoona, Hartwell, Carters and many other lakes across the nation. For years we’ve had customers want us to offer guide trips on other lakes, Watson says. They want the same quality service and expertise that we give them on Lake Lanier, but on their home lake. In the last few months of putting this deal together, we have received calls from all over the country from customers wanting SWGS on their local lakes. We had no idea how big the demand and response would be, it’s been a little overwhelming to say the least. "People simply want a high quality fishing experience at a reasonable price." We are currently talking with guides from 7 other lakes from California to Georgia that want to come on board. If we can get this deal put together with the right group of people, Shane Watson Guide Service will be a household name all across America. Nothing is changing on Lake Lanier, Watson added. We'll still be running the same boats daily and giving the same great Lake Lanier trips that everyone here has grown accustomed to. This is simply an opportunity to expand our brand and make a difference in many other peoples lives. Magic Tilt is now sponsoring Hall of Fame fishing guide Shane Watson. As usual, Watson will not release the terms of the deal, but he is glad to be with Magic Tilt. After receiving his first trailer this week upon picking up his new boat from Carolina Skiff, he was impressed with what he saw. "First impressions are everything and I could tell by the quality look and construction of the trailer, that it would be great. Magic Tilt builds a high quality boat trailer that pulls well, stops well, and makes loading and unloading a breeze, says Watson." Magic Tilt has been building quality boat trailers since 1953. As a family owned and operated business, they are located in Clearwater, Florida and have a strong business presence in the southeast United States. They also ship nation-wide and internationally. Magic Tilt excels in building aluminum and galvanized steel trailers designed for salt water applications. They build custom trailers for over 10,000 boat models. Shane and Dwayne spent last week at the Miami Boat Show. They were there to represent and help promote the Sea Chaser 250 LX Bay Runner and the New, Fun Chaser Fiberglass Pontoon line from Carolina Skiff. Shane said the performance of the new FGP pontoon is amazing. It had a smooth dry ride and with a 175 Suzuki 4 stroke, the boat ran 45 mph. That is great speed for a pontoon boat, says Shane. He also added, the interior features were very nice and comfortable. Shane spent most of his time on the Bay Runner, as this is the exact boat he uses daily. 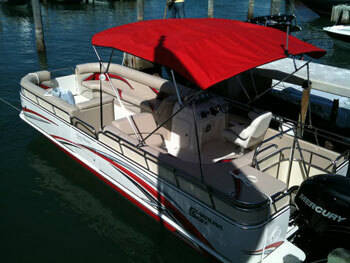 The Bay Runner has an exciting new interior and exterior color for 2013. Shane describes it as a very light beige or vanilla color which greatly reduces the glare of a stark white interior. The Sea Chaser folks have combined this new color finish with new upholstery colors that look great together. It gives the boat a more high end appearance both inside and out. Shane said as usual the Miami scene was great. They got to eat at many of Miami's best restaurants and spend time on Lincoln Rd, Collins Avenue, and Biscayne Bay. The folks at Carolina Skiff and their vendors take very good care of us every year in Miami, says Shane. From the fine hotels, to the fine food, I always enjoy my time in Miami with these great people. Shane Watson Guide Service would like to Thank all of our 2013 Sponsors. Without the Quality Products, Service, and Support of these Fine Folks, we would not be where we are today. We look forward to a Successful 2013, Featuring the Products and Companies mentioned above. Shane Watson Welcomes New Sponsor for 2012-2013. Shane Watson has entered into a sponsor agreement with National Retailer Batteries Plus. Battery Plus has over 510 retail stores in 46 states and Puerto Rico. They offer personal service along with access to over 40,000 unique battery and light bulb products. Batteries Plus has become the single-source supplier for all battery and light bulb power needs. The amount of the sponsorship has not been disclosed, but Watson says he is excited about the future with Batteries Plus. They are a strong company with quality products. We look forward to a long relationship that will benefit both our companies. Feb. 11, 2012. 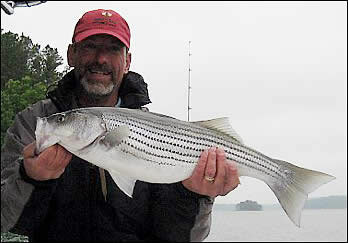 Hall of Fame fishing guide Shane Watson releases a few articles sharing some of his seasonal tactics for Lake Lanier striper fishing. You will also find an interesting article on the history and construction of Lake Lanier, provided by the Corps. of Engineers. Shane Watson Guide Service would like to Thank all of our 2012 Sponsors. Without the Quality Products, Service, and Support of these Fine Folks, we would not be where we are today. We look forward to a Successful 2012, Featuring the Products and Companies mentioned above. Feb 25, 2011. Shane and the guys spent last week in Miami for our boat sponsor, Carolina Skiff. The show, the weather, and the Miami scene was great. We were there to promote the new 2300 Ultra Elite and their new line of Fun Chaser deck boats. The 2300 Ultra Elite is a new boat for Carolina Skiff for 2011. It combines all of the stability and room that Carolina Skiff boats are famous for, but now with a smooth v-bottom ride. This boat was built to please fisherman and families alike. It has many standard features and options available that will appeal to everyone, from padded bolsters, premium upholstery, porta-potti console, and a roomy built in bait tank, just to mention a few. Combine all of this with one of the great exterior colors Carolina Skiff offers and you will have a great looking fishing boat that will perform well on the Coast, in Bays, and in Larger Lakes. Please visit www.carolinaskiff.com to see the complete line of Carolina Skiff - Sea Chaser boats. 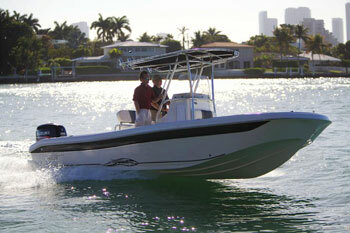 The new line of 2011 Fun Chaser deck boats was also unveiled at the Miami Boat Show. If you are in the market for a great family or cruising boat, this is the boat for you. These boats ride well and they look great. The interior features and look of the Fun Chaser is one of high quality and comfort. The performance of the Fun Chaser Deck boat and pontoons are amazing. Test drive one today and you too will quickly realize, This Isn't Your Dad's Pontoon Boat. Please visit www.carolinaskiff.com to check out all the features of the new Fun Chaser boats. While in Miami, Shane and the guys did many photo and video shoots that will appear in magazines, on-line, and in other various media outlets worldwide. Shane Watson proudly uses and endorses Carolina Skiff products. Not just because he is sponsored by them, but because they build a Great, Quality Product, that looks and performs well in all applications. They are a great company with fine people says Shane, I state my name and reputation on that. Shane Watson is a Professional Guide, Fishing Fleet Operator, and a 2010 Inductee to The Fishing Hall of Fame. His over 40 years of experience in both fresh and salt water fishing, gives you the knowledge and expertise you are looking for when booking a charter trip or buying a new boat. TV schedule of Shane Watson on the Roland Martin Fishing Show. Seen on the Versus Channel. 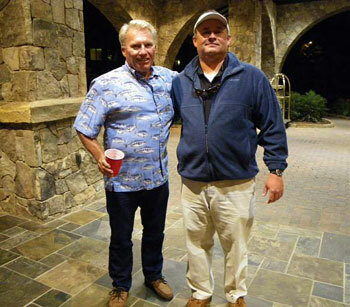 Lake Lanier Fishing Guide Shane Watson Inducted into The Fresh Water Fishing Hall of Fame. On January 12, 2010, Lake Lanier fishing guide Shane Watson was inducted into The Fresh Water Fishing Hall of Fame for the year 2010 as a Legendary Guide. This is a prestigious honor as only 56 people have been recognized as a Legendary Guide since 1992. There are only 2 to 3 people inducted each year worldwide. Inductees are selected by a national committee of peers including Legendary Fisherman Forrest Wood. Inductees are selected for their contribution, dedication, and service to the fresh water sport fishing industry. A statement from The Fresh Water Fishing Hall of Fame reads, by induction to the Hall, Shane Watson's pioneering spirit will always be remembered. 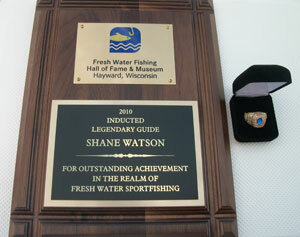 The Fresh Water Fishing Hall of Fame is located in Hayward Wisconsin. Filming just wrapped up for the Lake Lanier Striper Fishing episode of the Roland Martin Fishing Show. Shane Watson was asked to be the striper guide for the show. The stripers were busting on top very well and it should make for a great show, said Shane. The Roland Martin Fishing show is seen on The Versus Channel and this striper fishing episode will air in the spring. Roland Martin is a Legendary Bass Fisherman and TV personality. His weekly show is seen worldwide and has been on for 35 years. ESPN recently chose Shane Watson to be their guide for the Lake Lanier episode of the Reality Show, "Rods and Wheels". These two lucky guys were chosen from a nation wide search to take the ultimate motorcycle riding, back-country fishing trip of a lifetime. Tulsa, Oklahoma native, Brad Beasley and Marine veteran, Sergeant Joe Kowalski of Connecticut kick off their thirty-eight day excursion with a red fishing trip in New Orleans. From there, they biked 2500 miles through the "deep south" in search of some of the most amazing outdoors and fishing destinations in the region. From roadside streams to world-class fisheries, this is a story about two strangers, their incredible journey and the relationships they develop with people along the way.